Dr. Weeks completed undergraduate studies at Dartmouth College (major: Political Philosophy) then, prior to medical school training at the University of Vermont, Dr. Weeks worked in the Harvard system doing two years of research at Massachusetts General Hospital’s mineral metabolism unit working on osteoporosis (calcium, magnesium with Robert Neer, M.D. and vitamin D metabolism (with Michael Holick, M.D.). In addition, he studied nutrition (including macrobiotics with Mishio Kushi in Brookline, MA), acupuncture, massage (shiatsu), music therapy (trained in the Tomatis method), Anthroposophical medicine (with Otto Wolff, M.D.) and classical homeopathy. Medical school at the University of Vermont was followed by medical internship (1 year) and psychiatric residency at Dartmouth Hitchcock Medical Center (3 years). He became a specialist in psychiatry (focusing on neuro-psychiatry and psycho-neuro-immunology) with an emphasis on venomology (apitherapy in particular). He founded the American Apitherapy Society (AAS) in 1985 ad edited is Journal for the first 6 years of its publication. Fortunate to have developed during medical school a close mentoring relationship with the father of orthomolecular psychiatry, Abram Hoffer, M.D. ,PhD., Dr. Weeks has developed these principles over the past 20 years in his psychiatric practice. Invited to work with the world-famous Jonathan Wright, M.D. at the Tahoma Clinic right out of residency, Dr. Weeks subsequently broadened his practice to include nutritional therapies, including IV treatments (ACAM accredited in chelation therapy 1994), Insulin Potentiation Therapy (2002 and Clinical Instruction 2009), before developing the field of “corrective medicine and psychiatry”. At this point he serves both as a general practitioner and as a specialist and consults for Executive Teams for various multi-national corporations. 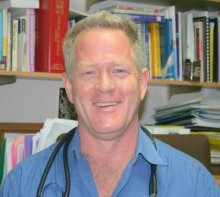 Like many life-long learners and like the best of medical doctors, he has broadened his scope of practice commensurate with his “post” post-graduate training (studying with colleagues and attending professional seminars) so that his clinical expertise encompasses more than what he learned in medical school and residency. While not a board certified cardiologist, he applies corrective health principles to support cardiology patients. While not a board certified sleep doctor, he applies corrective health principles to support patients suffering with sleep disorders. While not a board certified immunologist, he applies corrective principles to support patients suffering with auto-immune diseases. While not a board certified oncologist, he applies corrective health principles to support cancer patients. Beekeeping, organic gardening, sailing, walking without a backpack, poetry, music, botany.